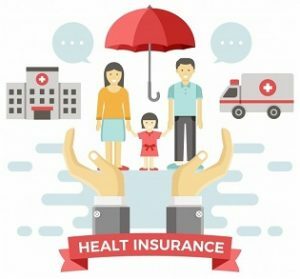 The importance of insurance in business & society are vital these days as insurance provides protection against possible risks; a business or a person can have. Day by day the scope of business is expanding so does the risks in it. On the other hand, people are engaging in more risky works which give them high profit with uncertainties. To mitigate these problems insurance is quite important. 1. Insurance Gives Security and Safety: A sense of security and safety to the businessman is given by Insurance. Insurance enables him to receive compensation against actual loss so that he can concentrate on his business with a secure feeling that in case of losses arising from insurable risk, his losses will be compensated. 2. Insurance Distributes the risks: Risk distribution is also known as Risk Sharing. It is one of the most important features of insurance. The risk in insurance is spread over a number of people rather being concentrated on a single individual. 3. Insured Person Gets Normally expected profit: Insurance protects unexpected losses which help an insured trader to enjoy a normal margin of profit all the time & stay stress less. 4. Insured Properties get Easy loans: Normally, A trader gets bank loans against insured stock or property, as insurance provides a sense of security to the lenders the banks provide bank-loans quicker on it then uninsured property. 5. 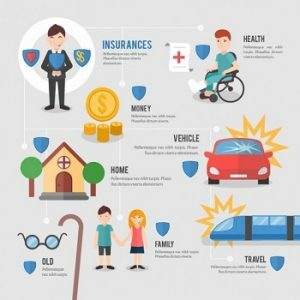 Advantages of Specialization: Sometimes the insurance companies can provide specialized insurance services which help businessmen to concentrate on their business activities without spending more time on safeguarding their property. 6. Development of Social Sectors: Funds created by insurance are available for the economic development; particularly, for the development of social sectors. In a developing country, insurance funds are an important source for investing in infrastructure projects (roads, power, water supply, telecom etc). 7. Social cooperation: Insurance works as a social corporation as the burden of loss is shouldered by so many persons. 1. Insurance provides security against risk and uncertainty. 2. It enables the insured to concentrate on his work without fear of loss due to risk and uncertainty. 3. It inculcates regular savings habit, as in the case of life insurance. 4. The insurance policy can be mortgaged and funds raised in case of financial requirements. 5. Insurance policies, especially pension plans provide for income security during old age. 6. The insured get tax benefits for the amount of premium paid. 7. Insurance of goods may be a mandatory requirement in certain contracts. 1. Insurance is an important risk mitigation device. 2. Insurance companies provide the required funds for infrastructure development. 3. It provides a sense of security. 4. Insurance provides security to the insured during his life and to his dependents. 5. It provides employment opportunities. With the entry of private insurers employment opportunities have increased greatly. 6. 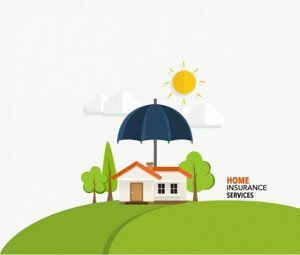 Insurance provides a sense of livelihood to those who might otherwise not have an income source — housewives, retired people, students etc can work as agents and earn commissions. 7. Insurance works on the principle of pooling of risks and distributes risks over many people. 8. Insurance is an invaluable aid to trade. 1. Insurance provides funds to the government for providing basic facilities and to develop infrastructure. 2. It has enabled the country to get the foreign exchange (49% FDI is permitted in the insurance sector in India). 3. Insurance relieves the government of the burden of supporting a family, in case of the untimely demise of the breadwinner. 4. Insurance promotes trade and industry by providing risk cover. 5. Insurance companies pay taxes out of profits earned. This is an important revenue source for the government. 6. Insurance companies are permitted to invest 5% of the funds in the capital market.